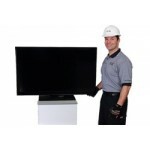 Skilled technicians will install your TV on a stand, connect available video sources, then neatly organize and secure all wiring. 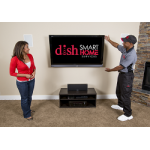 We’ll also label the TV menu inputs and program your remote to work seamlessly with your TV.Installation Includes:Attach.. 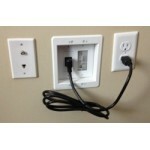 Need to hide your TV cords but don’t like the look of wire molding or the thought of costly electricians? 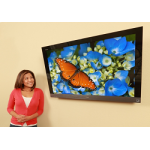 Skilled technicians will install a Power Relocation Kit ingeniously designed to drive power up the wall to your wall-mounted TV and any other A/..